Whether you're a San Francisco startup or Fortune 500 company, ZippGo can provide the moving crates you'll need to complete a successful and sustainable move. We've delivered to some of the most well-known startups, Unicorns, and Venture Capital Firms in Bay Area cities like San Francisco, Oakland, Palo Alto, and San Jose. 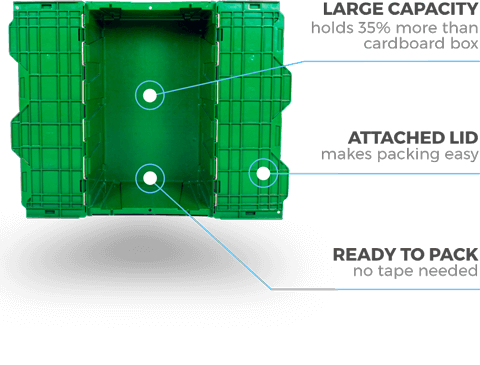 We've got over 8 years of experience delivering crates to Bay Area offices so we can help you estimate how many ZippGo plastic moving crates you'll need. We are fully insured to enter Class A buildings so let us know if you require a Certificate of Insurance (COI). Our business solutions team provides a full-service customer experience while providing moving crate pricing which is much lower than the cost of buying cardboard moving boxes. ZippGo can also help your company reduce its carbon footprint and our services can earn you points towards LEED certification. 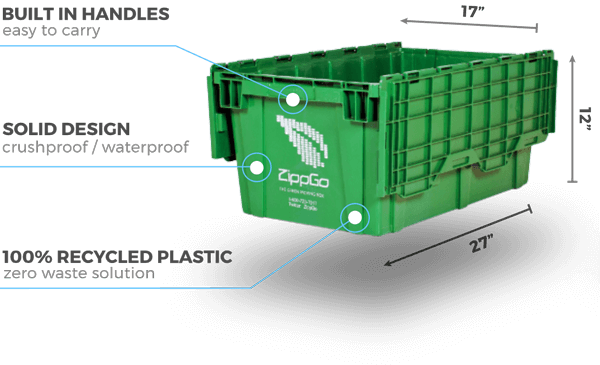 ZippGo will deliver reusable green moving boxes made from 100% recycled plastic to your office and pick them up once your move is complete and your employees are unpacked. ZippGo boxes neatly stack on top of one another when full and easily nest within one another when empty to help you save valuable office space. Used in combination with our custom 4 wheel moving dollies, ZippGo boxes can be moved quickly and efficiently. Your movers, management, and employees will love using ZippGo moving crates during your office move. ZippGo offers an excellent solution for companies who want to practice corporate responsibility by using sustainable moving boxes made from 100% recycled plastic instead of traditional cardboard boxes. Use Zippgo to save time, money, and trees. Call us today and we'll be happy to put together a custom package for your company.